We'll call you at a time that suits you! Ready to give you an instant quote! Click here to retrieve a quote. The Classic Car Insurance Specialists for over 30 years! Lancaster Insurance Services, established in 1984, specialises in arranging classic car insurance, in addition to a range of niche motor related products and general insurance products. 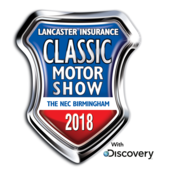 We live and breathe classics and this is shown through our commitment for sponsoring the UK’s largest classic car event, the Lancaster Insurance Classic Motor Show, as well as a host of smaller and regional shows throughout the years too! Using our carefully selected panel of insurers, and network of car clubs, we have a number of avenues available to get you a great deal on your insurance. Lancaster Insurance Services has access to competitive classic car insurance and vintage car insurance schemes in the UK. As a leading, reputable specialist in classic car insurance for over 30 years, we are committed to offering our customers a wealth of experience, great customer service and excellent service. Lancaster Insurance Services, has been arranging specialist 4x4 insurance for over twenty years. As a leading broker in the market, we offer a high quality product and level of service which we hope gives you peace of mind and security on the road. We understand that price is important; this is why we focus on saving you money on your policy and offering additional benefits for insuring your 4x4 with us. We offer discounts to Club Members and Limited Mileage vehicles, as well as Accidental Damage Cover. A policy arranged by Lancaster Insurance Services can represent the true value of your car and will be tailored specifically for your needs.